Why don’t they make dishwashers the way they used too? Easter is coming! Candy Stain Removal Tricks and Tips! Cleaning your grill is essential to not only keeping your food tasting wonderful, but also to increasing the longevity of your grill. Here are some tips that will make cleaning your grill easier. First off, you should already be cleaning your grates between each use with a wire brush. The best time to do this is while the grill is still warm preventing the food particles from hardening to the grates. A best practice would be to scrape the grates shortly after using your grill, and then next time you use your grill turn the unit on high for about 5-10 minutes and scrape with a wire brush again. Depending on how much use your grill gets, you also will need to give your grill a major cleaning 1-2 times a year. If you have a self-cleaning oven, one trick many people use to cleaning the grates is to put them in the oven while running a self clean cycle. After that, it makes all of the rest of the steps below much easier, but is not necessary. Remove all of the grates and let them soak in warm water for 15-20 minutes. 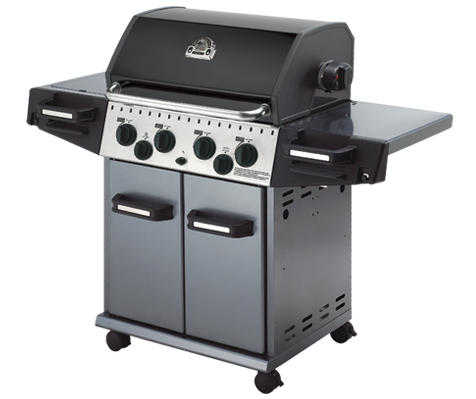 For gas grills there are often metal plates under the grates called flame spreaders, or lava rocks. Remove these and soak them in warm water as well. Once the grates a flame spreaders are out, you should now be able to see the burners and the bottom of the grill. Using warm water, a scouring pad, and a wire brush gently scrub the burners clean. If you notice any cracks or holes in the burner, do not use the grill and have the burner replaced. Use a scouring pad and wire brush to scrub the inside of the grill walls with warm soapy water. Next remove the grates and flame spreaders or lava rock from soaking and scrub them clean with a wire brush and scouring pad. Rinse clean with water. For any tough residue use a degreaser such as Easy-Off to clean. Once all parts are clean, use cooking oil our spray to coat all the surfaces. This will make it much easier to clean in the future. Replace all the parts and allow the unit to air dry. Finally clean the outside of the grill with warm soapy water. If you have a stainless steel grill, check out our tips on cleaning stainless steel! Remember regular cleaning will keep the cleaning easy, increase the longevity of your grill, and keep your food cooking to perfection! Also take a look at this great video courtesy of Lowe’s on cleaning your grill.